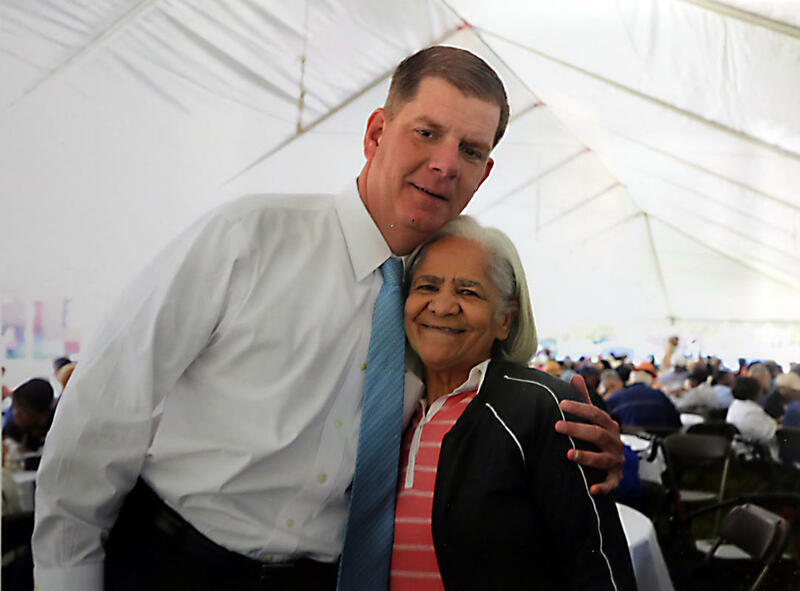 On January 12th, 2016, 78 year old Roslindale resident Silvia Acosta was hit and killed while crossing Washington Street. Witnesses told police that Acosta was crossing the street in a crosswalk when she was struck by a person driving a vehicle that then fled the area. The Vision Zero Task Force visited the crash location on January 22nd to make recommendations for any short and long term changes to the area that could improve safety. UniversalHub - "The woman struck by a car in Roslindale died; motorist faces charges"
Boston Herald - "Family remembers Roslindale great-grandmother hit by car"
Install a pedestrian island with fluorescent paint and flex posts to make crosswalk more visible to drivers. Replace pedestrian sign, currently on side of Washington St. with a sign that has rapid flashing lights (RRFB) similar to a sign on Cambridge Street near the Jackson Mann School, Brighton, or outside Volpe Center in Kendall Square, Cambridge. Eliminate the parking space northwest of Brahms Street to help daylight the intersection and construct a curb extension to improve pedestrian visibility. This can be done with paint and flex posts to start. Install pedestrian actuated WALK signal at the bus stop. Traffic signal should be placed over the roadway. People driving will not be accustomed to seeing traffic signal at this location and may not see signals placed on posts on side of street. A safety light, one hopefully they will obey. Install cameras so if someone doesn't obey the signs, moving violations can be given. 4/21/2016 - speed board sign added. 6/8/2016 - new WalkUP Roslindale blog post, "148 Days and Counting." 6/14/2016 - new WalkUP Roslindale blog post, "154 Days and Counting." 6/15/2016 - new WalkUP Roslindale blog post, "Counting down to rapid response improvements..."
7/13/2016 - new WalkUP Roslindale blog post, "Looks like today is the day for start of work!" 8/4/2016 - Email received from neighbor in Roslindale: "restriping/reconfiguration at Washington & Blue Ledge was completed as of this morning. We look forward to the full completion of the improvements with installation of the flashing pedestrian beacon and, I believe, flexible pedestrian crossing signs/bollards in the newly painted medians." 8/4/2016 - new WalkUP Roslindale blog post, "Just about fully installed!"